Today we have details on another one of Condemned Labz rebranded supplements, following on from our last two posts that outlined the changes in the new Convict Elite and Confined Elite. The product in the spotlight today is Locked Down Elite, which isn’t an overly complex formula, unlike the other two recently updated items. The original Locked Down from Condemned Labz featured a simple three different ingredients with 5g fo creatine ethyl ester (CEE), 3g of Hydromax glycerol, and a gram of taurine. The combination was designed to increase strength, endurance, and energy. The new Locked Down Elite looks like it’ll deliver a similar experience to its predecessor, as Condemned Labz has only made one change to the formula. It has kept everything the same for the power and performance supplement except for the creatine, which is still at 5g per serving, but in the more traditional form of creatine monohydrate instead of CEE. Just like the other two updated Condemned Labz products, fans can already find the rebranded and slightly reformulated Locked Down Elite on the brand’s website. 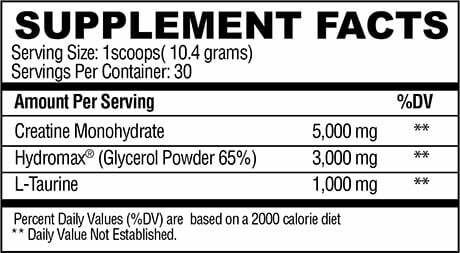 It is available in the same 30 serving tub size for $34.99, with two flavors to choose from in Lemon Lime and a convenient Unflavored.